This definition is preposterous and entirely inadequate to capture all the different techniques for genetically modifying food that are currently being used or are in development. Gene-editing using CRISPR is one example, where scientists manipulate an organism’s own DNA to silence certain genes or express otherwise silent genes. This technology does not look like it will be covered under the final rule because the USDA argues that gene editing produces results that could have been obtained through conventional breeding. For example, the USDA recently decided that a CRISPR-created non-browning mushroom did not have to be regulated, and following the USDA’s logic, the GMO labeling rule will not apply. That’s right: a genetically modified mushroom will not have to be labeled as GMO because the USDA thinks that the genetic change could be accomplished through normal means. A similar determination could be made regarding the Arctic Apple, a non-browning apple made through a technology called RNA interference (RNAi), a gene editing technique for blocking the expression of certain genes. There are other techniques, including TALENs and ZFNs, the products of which will likely not have to be labeled. The issue is that these technologies are the future of agriculture, with some observers noting that “with new gene editing techniques, [GMOs] will no longer be necessary.” The USDA, taking cues from Congress, has written a labeling rule that applies exclusively to obsolete technology. The USDA’s definition of a GMO completely misses the point. Even if a particular change could have been brought about through traditional breeding, the fact that it was brought about through genetic modification in a laboratory means that consumers have a right to know, end of story. It seems likely that this was the endgame all along. Remember that the food industry supported the legislation that underpins this rule. It isn’t hard to imagine that they were given assurances that the rule would do nothing to disrupt business as usual. The problems don’t stop there. The rule establishes a threshold for the “inadvertent or technically unavoidable” presence of GMO material of up to five percent; foods that meet this criteria will not have to be labeled as bioengineered. What is galling here is that the USDA was considering three alternatives for this threshold, one of them being 0.9%, but chose the option most generous to industry. So, an ingredient in a food can have up to 5% of its weight be GMO if it is “unavoidable” or “inadvertent” and not have to identify that there is GMO material in the food. (Note: food containing any amount of a bioengineered substance that is not inadvertent or unintentional must be labeled.) The plain fact, once again, is that even if the presence of a small number of GMOs is “inadvertent or unavoidable,” consumers still have a right to know. There is another way that the USDA has narrowed the foods that will have to carry GMO labeling. So-called “highly-refined foods” made from GMO crops—such as sugar from GMO sugarbeets or high fructose corn syrup from GMO corn—will not require a label. The USDA argues that the presence of GMOs cannot be detected in refined products. Once again, consumers have been sold out. Just because current testing techniques cannot detect GMO material in a finished product does not mean there is no modified genetic material in the food. The whole point of a GMO labeling law is to provide consumers with information, so those who wish to avoid GMO foods can easily do so. If refined foods made from GMO ingredients are exempted, the spirit of the law is undermined. 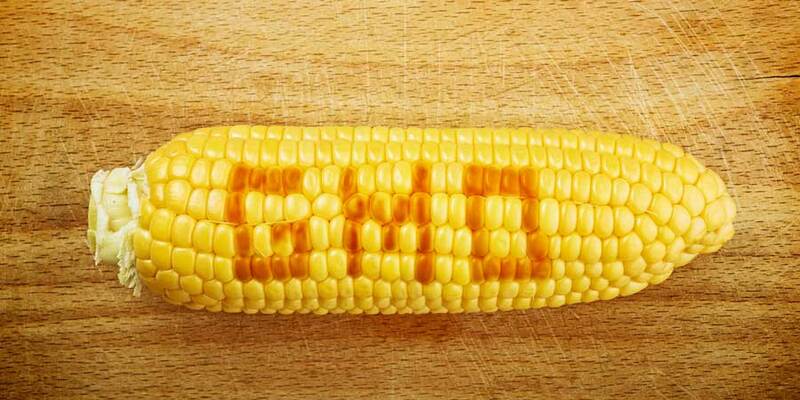 Finally, the USDA has altered the symbol that may be used by companies to communicate the presence of GMOs. Some early proposals looked like a smiling face. The symbol the USDA chose says “bioengineered” rather than GMO and depicts a field and a sun, which is intentionally deceptive. These are natural images used to communicate the presence of decidedly un-natural ingredients in a food. It’s as if the PR department at Bayer/Monsanto came up with it themselves! If you think that your state can pass a stronger labeling law, think again. The law passed by Congress prevents states from instituting labeling laws that differ with the federal law. This process has been a complete sham since the beginning, starting with the fact that food companies can label their food with scannable codes rather than plain language on the package. That’s right: a company can avoid putting a plain language GMO label on their food altogether and instead slap a scannable code which they know most people won’t scan anyway, and which requires the customer to have a smart phone handy. The rule to implement the law favors the food industry at every conceivable turn. This is the definition of cronyism: the US government catering to special interests rather than citizens. Action Alert! Write to Congress and the USDA, telling them that this rule is an outrage and must be changed to better represent a consumer’s right to know. Please send your message immediately.